The New Alegria 67 Catamaran by FOUNTAINE PAJOT AN INCREDEBLY COMFORTABLE LUXURY CATAMARAN FOR THE MOST DEMANDING SAILORS The pleasures of a Flagship: The comfort afforded by her exceptionally large flybridge is second to none, while her forward cockpit with room for a jacuzzi reflects a lifestyle worthy of the finest homes. The Astrea 42 by Fountaine Pajot Sailing Catamarans is distinguished by its abundance of natural light, energetic lines, elegant living spaces and unparalleled comfort, while delivering sheer pleasure underway. The Fountaine Pajot Saona 47 has been added to the range of Catamarans as the perfect mid size family performance cruising Yacht. Incorporating all the latest innovations and designs from the Fountaine Pajot factory including the optional Hydraulic Platform on the back , integerated Bar B Q this Catamaran has already proved its success. The Lucia 40 has all the strengths, the new lines and the performances that have brought success to its elder sisters, the Helia 44, the Saba 50 and the Ipanema 58. Light, Space and Elegance of Design Climb aboard the New 45 and behold the boldly modern, luminous and spacious world of Fountaine Pajot. The New 45 boasts energetic lines and inverted bows, and the incredible interior living spaces make her truly astonishing. The elegant catamaran also has a newly designed helm station to improve handling and promise incomparable performance. Multihull International Ltd, trading as MiCats, is the official and exclusive UK, Channel Islands and Northern Ireland dealer for 2 world leading multihull brands: Fountaine Pajot Catamarans and Neel Trimarans. In addition to new yacht sales, we specialise in pre-owned / second-hand multihulls from across the world via our brokerage division. Our dedication and commitment to our clients is underlined by the fact that we have been established since 1992, making us Fountaine Pajot’s longest established dealer worldwide. MiCats also provides a tailored multihull charter management program focused on easing the responsibility and financial burden of boat ownership and operation. 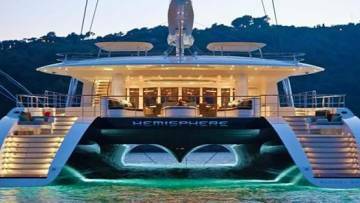 We sell the most popular catamarans and trimarans from leading shipyards and manufacturers such as Fountaine Pajot, Neel Trimarans, Lagoon Catamarans and Nautitech. We pride ourselves on offering a complete service so if you would like any more information about the boats we offer, or advice on which would be the best type to suit your sailing preferences, please do contact us. 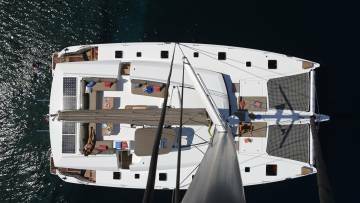 We have extensive experience with Fountaine Pajot catamarans and Neel Trimarans. Launched in 2009, CARIBBEAN MULTIHULLS was created through the association between Peter Cohen (Fountaine Pajot dealer since 2000) and the Directors of MiCats (Fountaine Pajot’s longest established dealer worldwide since 1992), together we now have bases in the UK, St Martin and Puerto Rico. Fountaine Pajot who were established in 1976 offer a range of sleek, modern, luxury cruising catamarans, light years ahead of our competitors in design and construction. 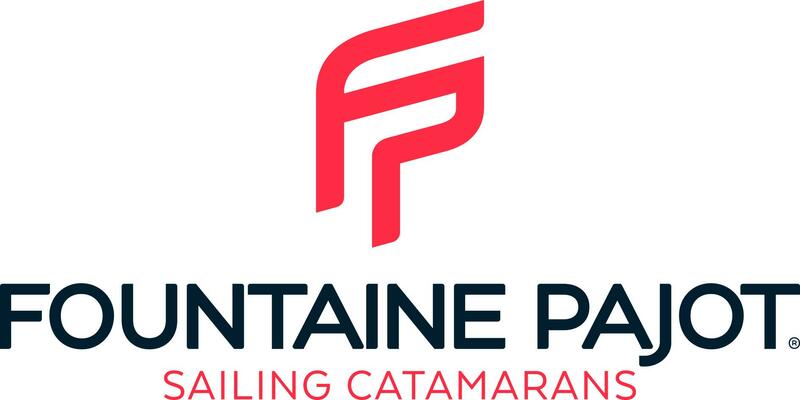 Fountaine Pajot is the world’s number one builder of cruising catamarans and has consistently set industry standards for excellence. Fountaine Pajot builds an exclusive range of Sailing Catamarans and its Motor Yacht range of power catamarans. Fountaine Pajot’s current sailing catamaran range consists of: Lucia 40, Astrea 42, New FP45, Saona 47, Saba 50, Ipanema 58, Alegria 67 . Explore an ocean of new possibilities with the power, space and sophistication of a Fountaine Pajot Motor Yacht. Delivering outstanding performance at sea, our range features magnificent panoramic views from their luminescent interiors, exceptional fuel efficiency, impressive power and world-class safety. Step on board and experience the exhilaration of power meeting beauty. Expand your horizons with Fountaine Pajot Motor Yachts and never look back. The Motor Yacht range consists of: MY 37, MY 40, MY 44, and the MY 67. The ultimate fast cruising trimaran that’s easy to handle. The trimaran designed by NEEL has intrinsic qualities of safety, comfort and maritime behaviour. 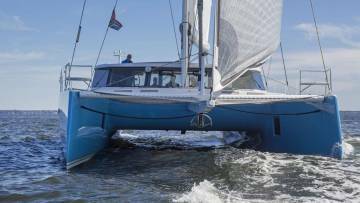 Created in 2009, the NEEL 50 offerd a new way of sailing. 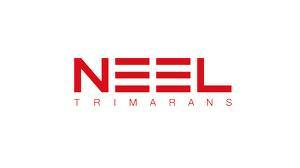 Founded and managed by Eric Bruneel, NEEL-TRIMARANS surrounded itself with the best equipment and service suppliers for the construction of its trimarans. The Neel 45, Neel 51 and Neel 65 Trimarans are the most innovative, and spacious multihulls in today’s yachting market. The Neel Trimarans will also offer the well-known superior sailing characteristics of an offshore trimaran by letting you point closer and run faster. The Neel 45 Evolution, Neel 47, Neel 51 and Neel 65 Evolution Trimarans can be ordered in Owner Layout or Charter Versions.